Coal imports increased by 5.1 per cent to 189.9 million tonnes (MT) in the April-January period of the ongoing fiscal, according to a report. Coal imports were at 180.61 (MT) in the April-January period of the previous fiscal, the report by mjunction services showed. mjunction, a joint venture between Tata Steel and SAIL, is a B2B e-commerce company that also publishes research reports on coal and steel verticals. But January month saw a decline in coal import to 17.25 MT from 19.59 MT in the same month of the previous fiscal. 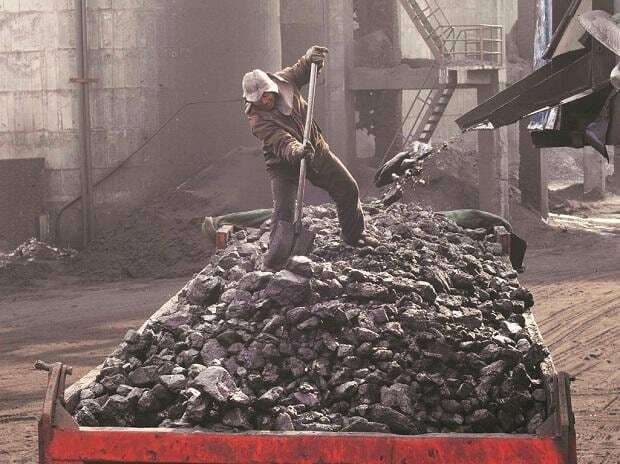 "There was modest demand for coking and non-coking coal from Indian buyers during the month. The marginal decline in hot metal production and volatile coking coal prices in January prompted buyers to keep a tab on imports," mjunction MD and CEO Vinaya Varma explained. In non-coking coal, the coal stock scenario at thermal power plants showed a steady improvement and this helped to curb volumes, he added. Of the total imports during January 2019, non-coking coal shipments were 12.35 MT and coking coal at 3.53 MT. Coal Minister Piyush Goyal had earlier urged state-run Coal India to pledge self-sufficiency in production to eliminate import of the dry fuel. The government has set a target of one billion tonne of coal production by 2019-20 for the mining major, but is considering relaxing the timeline. Coal India has announced a production target of 652 million tonne in 2018-19.